Psychosis and Near Psychosis offers a psychoanalytically-based approach to an integrated treatment of psychosis and near psychosis, achieved by organizing psychotherapy, medication, hospital and milieu interventions into a powerful therapeutic tool. The author navigates confidently between psychiatric and psychoanalytic approaches, between biological evidence and psychological assessments. 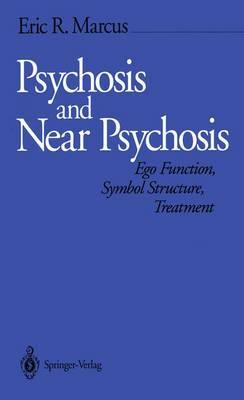 According to Dr. Eric Marcus, since the past, so-called heroic psychoanalyses with psychotic patients have clearly been shown to fail, the time is now ripe again to discuss psychosis in terms of the broadened psychoanalytic theory, with the support of medication and a better understanding of the neuropsychological factors involved. This book, which maps out mental illness in concrete and innovative ways, will interest all researchers and clinicians eager to find the best means, both practical and theoretical, to initiate satisfying psychiatric therapies.